An unforgettable, fun birthday party for cookie monsters! 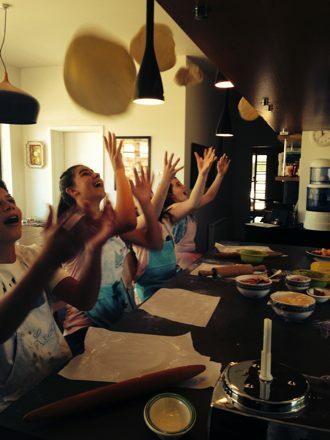 Cucina Colac kids’ birthday parties are a supervised cooking experience for children aged four and up, with games and more. 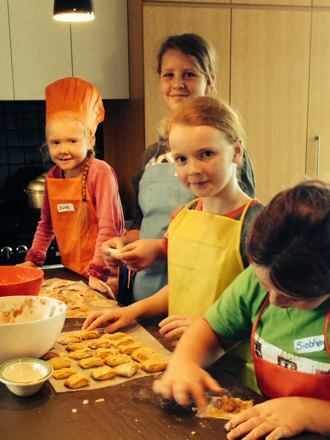 Activities include baking and creating melt-in-the-mouth cookies to take home. 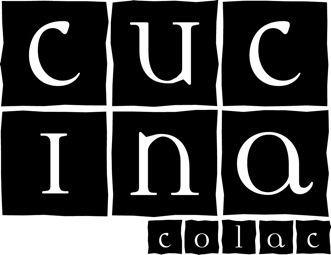 Cucina Colac parties include include party food for the kids, who get to keep their chef’s hat and apron. Parties run for 1½ hours, are for a minimum of six children and a maximum of 12, and are $26 per child. We can tailor a package that includes birthday cake and/or food for the grown-ups (for an additional cost). Lolly bags and helium balloons can be arranged at minimal cost for party guests to take home. And the best thing ever? We do the cleaning up! Children are welcome to choose and dress for a themed party. We can cater for food intolerances. Getting kids involved in the kitchen has a multitude of benefits for children and their family. 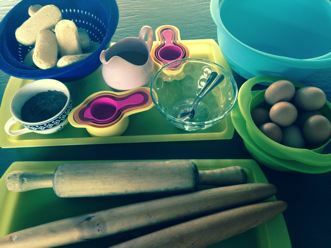 Cooking is in an important and creative life skill which becomes a fun workshop in the joy of preparing and eating good food. 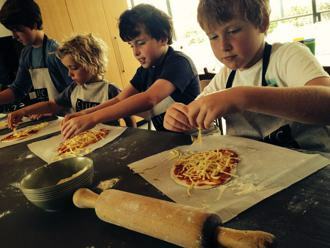 Our classes cater for five to nine-year-olds, and ten to 14-year-olds. We explore a variety of tempting tastes such as Italian feast and Asian classics. All participants receive a chef’s hat and apron which they wear during the class, and get to take home. Classes run for three hours and are designed so that parents aren’t required to stay. Children take home the food they’ve made, plus recipe sheets. Classes operate with a minimum of four children and a maximum of 10. Book into more than one class over the holidays and receive a discounted price.